FeedThe.net / FeedThe / FTN – is surely one of the best 0-day trackers around the net. The site has some of the best pretimes along with amazing speeds on most torrents. If you like to watch movies and TV, this is definately the place for you. One of the main features that makes this tracker so unique, is that there is no ratio/download and only upload is ever counted – which means the site is basically always freeleech! Another good tracker feature is a large number of different packs and rare collections. The resource is known for its collection of films and TV programs, which is one of the best on the network. Also, you will be pleased with the high rate of return. 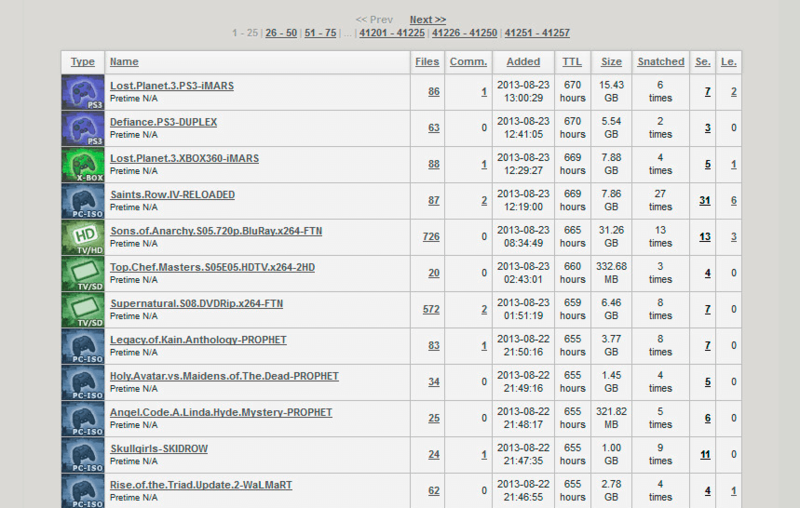 Despite the modest design and layout, there is enough people and a daily average of 50 to 90 new torrents. The community on FTN is very nice and helpful, the IRC is always very active and friendly and a great place to go and hangout. Lots of the users there are the top in the torrenting world and have much experience/knowledge of bittorrenting.